Tales from the Real OC (Really! ): WHISPER - FATED - & More! 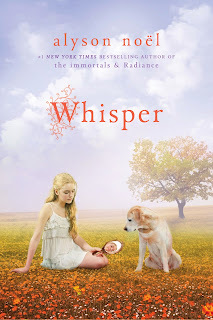 WHISPER was released yesterday, and I want to thank all of YOU who contacted me via Twitter, Facebook, Goodreads, this blog, and/or Pinterest to express your excitement--your enthusiasm and support means the world to me! I truly couldn't do it without you! Speaking of WHISPER--there's a really fun poll happening over at Discovery Girls asking where you would go if you could travel through time. Ancient Greece- a castle in England - back to a time when dinosaurs roamed?? Click HERE to weigh in! 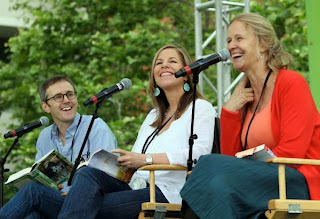 Also, just discovered a nice article on my Sunday panel at the LA Times Festival of Books (pictured above with amazing authors John Stephens and Cornelia Funke), click HERE to read! And speaking of articles . . . I did a really fun interview in the May issue of Orange Coast magazine titled: 10 True Things (that I know about today's teens). 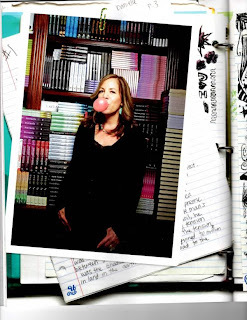 The photo above accompanies the article, and believe me when I say it took several wads of gum and even more failed attempts to get a bubble worth photographing! I was sorely out of bubble-blowing practice! 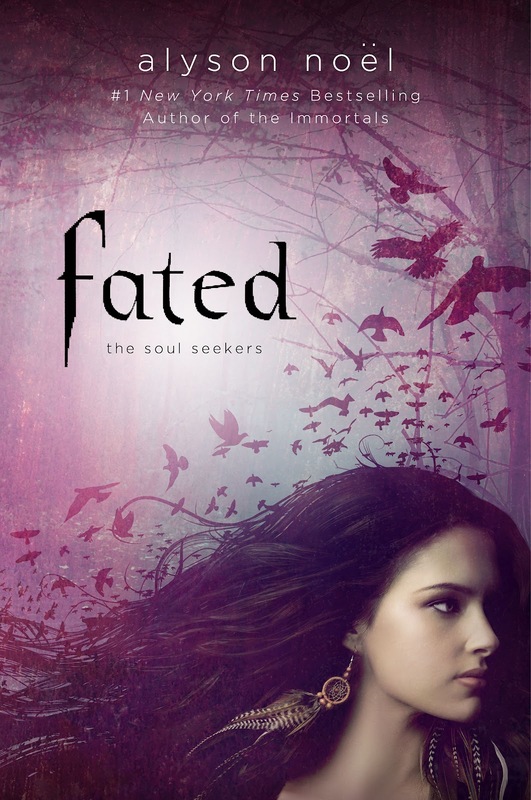 And, now that WHISPER is in stores, there's less than a month to go before FATED, book 1 in my new SOUL SEEKERS series, will join it! I'm so excited about this new series! I hope you enjoy reading it as much as I've enjoyed writing it! While FATED won't officially be released until 05.22.12, you can download a free e-sampler containing selected scenes from the book - and read an exclusive short story where Ever Bloom & Damen Auguste from THE IMMORTALS meet Daire Santos from THE SOUL SEEKERS by clicking HERE! 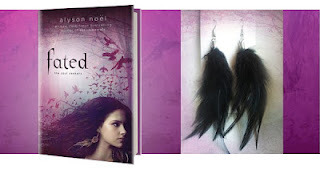 And those who pre-order a copy of FATED are eligible to receive a pair of SOUL SEEKERS inspired feather earrings! Click HERE for the details! And, for those of you who enjoy audio books (count me among them! 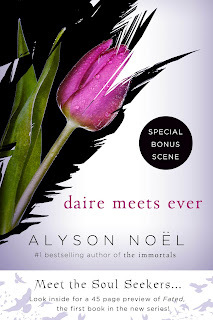 ), you can catch an early listen of chapter 3 by clicking HERE! Whew- I think that gets us all caught up for now!! Again--thank you all for your generosity and support--I'm so grateful to have The Best Readers Ever! YAY, i've ordered Whisper - can't wait to read it and Fated looks awesome! Congrats on the book launches. @sunidhi - Thanks so much for your support!